Guess what? I’m not going to make this a post with a long, boring intro. It’s Saturday (again) and this is what’s happened and/or happening – and that’s all you need to know. Israel officially premiered their song Time by Izabo on the first of the month, and as it turns out it is the song that has been on Youtube for the past week or so under the dubious title of ‘The possible actual but still unofficial entry’. Damn that dastardly internet for spoiling Israel’s plans! Although as a result of that evil entity we have had the chance to get to know the song better by this point. Who in this day and age doesn’t like getting something earlier than expected? I suppose it’s Time for me to tell you how I feel about the entry. Well, I can certainly say that it more closely resembles something you’d find on alternative radio than at Eurovision, but why should there be a genre that isn’t ‘Eurovision’ in sound anyway? The song’s quirkiness may be its saving grace. It’s not like any of the 2012 songs so far and is unlikely to be like any yet to come. I’d describe it as a happy little ditty (if I was about seventy years older than I actually am), something left-of-field fromIsrael. I think it has the potential to be a (good) surprise on the live stage. Speaking of things old and surprising, the UK finally broke the silence on who their act is, only to leave gazillions of fans speechless. 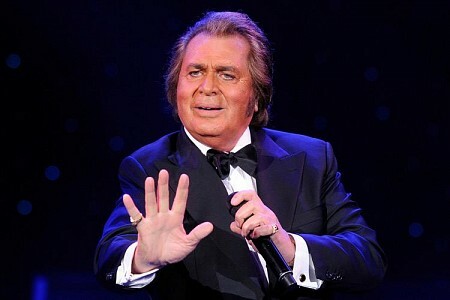 As I’m sure you already know, a certain Mr. Engelbert “The Hump” Humperdinck – who on one hand is tremendously popular but on the other is tremendously aged by ESC standards – will be shuffling onto the stage May 26th on behalf of the UK, and there he will most likely a) rake in the votes and make the top five or b) fail miserably, which would be more consistent with the United Kingdom’s recent results. He will be 76 years old by then, which means that not only can we make lots of hilarious jokes about his name (“Hump”…hehehehehe) but we can also make references to his being up way past his bedtime when it comes to the show. Well, that’s what Wikipedia is telling me, anyway. Both Estonia and Lithuania qualified last year, but after the less-than-impressive positions they ended on, both could stand to improve by picking something stand-out. As for Spain, we’ve known since December that it’s the firmly established Pastora Soler who’ll be carrying their flag. All that’s left is for her song to be chosen from a field of three. They too didn’t live up to expectation in Düsseldorf, so will bringing out the big guns (or just the one gun) change their fortune? Maybe, so long as they keep the actual guns at home, unless we are talking about the ‘guns’ of some shirtless dancers in which case I’m all for the use of weaponry. I should really stop with the gun thing. Andra Chansen is the final obstacle (albeit one I don’t mind getting over) before the fabulous Melodifestivalen final, and the last chance for a lucky twosome to nab a place there. There’s about a 0% chance that one of the AC winners will win the whole of MF, but you never know how well they’re going to do – last year The Moniker made it out of Andra to come third in the final, beaten only by two good-looking guys in leather jackets. There are some tricky-to-pick partnerships there, but I’ve made my predictions. Check them out with the aid of this nifty and highly complicated table (FYI, green means go). I don’t really mind who makes it through so long as one of them is Timoteij. Although if I’m honest I would like the other one to be Sean Banan (cue everyone throwing banana skins at me for my poor taste). Posted on March 3, 2012, in Eurovision 2012 and tagged Andra Chansen, Engelbert Humperdinck, Israel, Izabo, Melodifestivalen, national finals, Pastora Soler, Sean Banan, Sweden, Timoteij, United Kingdon. Bookmark the permalink. 6 Comments. Mr. Engelbert (Hump?) looks a little like an old orange. Thorsten and Top Cats – was that a prediction? You are good! Although I agree about the boringness, I really did NOT think Thorsten would make it out of AC. Apparently Sweden cannot resist rockabilly. No ;D i just read it on another blog and thought i could tell you. hm. i was never a fan of swedish songs. i’m more the eastern europe fan. If you hadn’t told me that I would have thought you were psychic! I am not sure what to think about the UK choosing the Big H. Maybe they decided that they had to do something unpredictable to be in with a chance? I quite liked the Israeli song 🙂 Not my fave this yr so far but up there as its a bit different and alternative sounding, which is not usually something that seems very Eurovision. It’ll be interesting to see how Israel does, that’s for sure! As for the Hump…I guess we’ll have to hear the song before we start complaining (or not…who knows, it might be brilliant). I can’t be angry at an old, orange man, I just can’t! !